Finding ourselves in London during the summer of 2016, we decided to head up to Scotland to meet Braveheart and his brethren. It’s an easy train ride from London through lush, rolling countryside, flecked with sheep, picturesque homes, castles and ruins. If that wasn’t enough to keep us engrossed, a fellow passenger seated across the aisle unwittingly provided us with much entertainment. He spent the entire journey on the phone talking to one “mate” after another. During one conversation, he loudly complained about a colleague’s drunkenness, only pausing in his narrative to pop open his seventh beer at 2 pm. Ah, well, welcome to Scotland. With that introduction to the scenery and the Scots, we weren’t sure what to expect. Happily, what we found could easily fill any book on must-have experiences, but we will reluctantly limit our recommendations to a few. No trip to these parts is complete without an exploration of the Scottish Highlands. 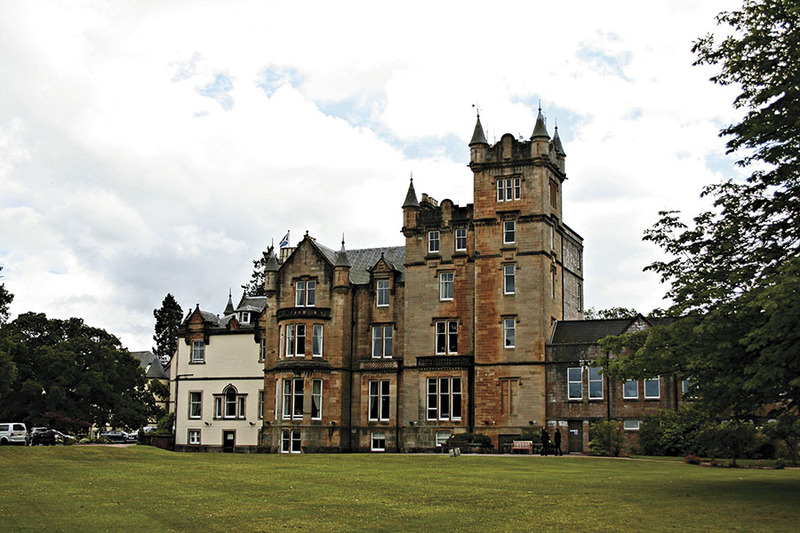 For us, first up was Cameron House, a luxury resort on Loch Lomond, Scotland’s largest lake. Good thing it is too, as it provided ample room for the seaplane we saw land. That arrival made a statement that our little rental car couldn’t quite match. 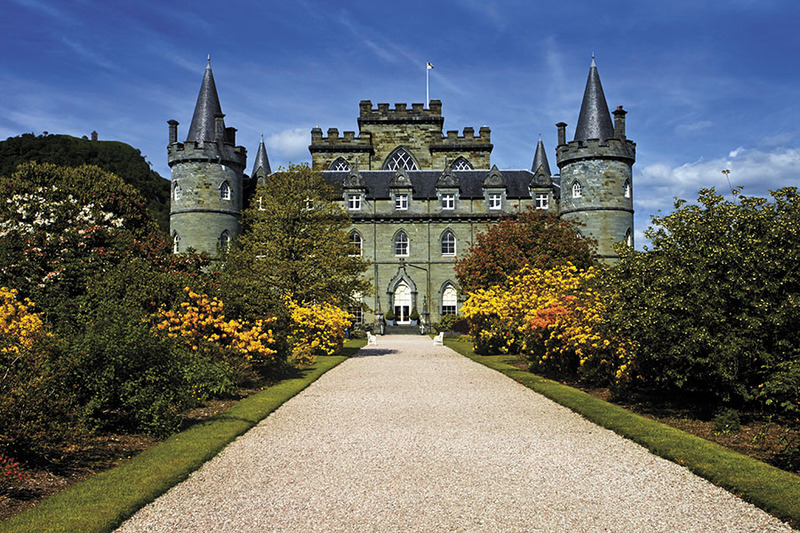 From there, it was on to Inveraray Castle, the hereditary seat of the Dukes of Argyll. The 60,000-acre estate is open to visitors, even as the current Duke continues to live there with his young family. The castle has seen plenty of drama in real life, but has also found fame on screen, including as the fictional Duneagle Castle in Downton Abbey. If you enjoy driving, you’re unlikely to find roads more fun to navigate than in the Highlands. We leaned into the corners and accelerated out with a smile (at least on the driver’s face). In the backcountry, the roads curve up, down and around the rolling hillsides and narrow to the point where two cyclists of modest girth will barely fit riding abreast, let alone two cars. We stayed at Blarcreen House, a Victorian mansion, on the banks of Loch Etive in Ardchattan. Our room was luxurious, with large windows that looked out onto fields and rolling hills. We slept blissfully, waking to the unfamiliar sound of cows mooing and sheep baaing outside our window. The ruins of Dunstaffnage Castle just outside Oban, the closest sizeable town, merit a stop. One of the oldest stone castles in Scotland, this stronghold dates to the 13th century and sits on Loch Etive, surrounded by water on three sides. The drive to Glencoe took us on even more remote roads that provided plenty of opportunities to hike and revel in the majestic mountain scenery. ‘Glen’ is Scottish for valley and Coe is the river that gives Glencoe its name. The sparsely populated, stark and brooding glen is one of the most picturesque spots in all of Scotland and immensely famous. If it looks familiar, it’s possibly because you saw it in the Harry Potter movies, the James Bond film Skyfall or as the setting for one of the songs in Kuch Kuch Hota Hai. 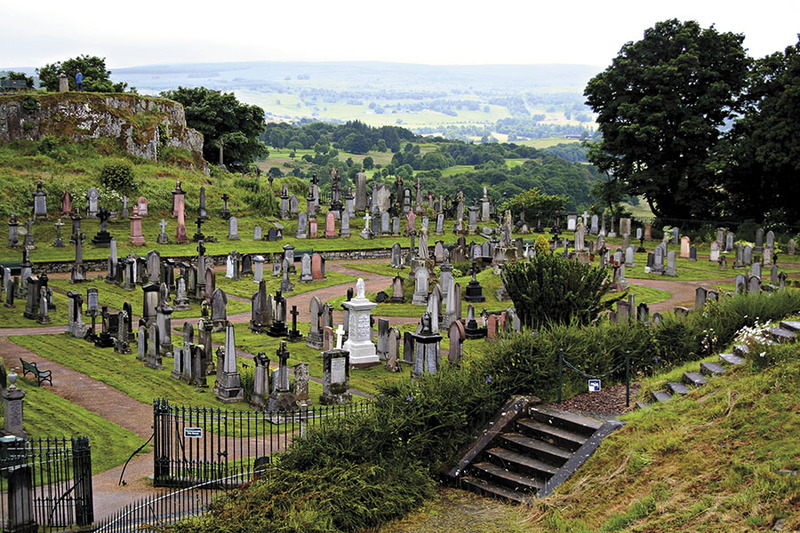 The glen was also the site of an infamous massacre on February 13, 1692, when soldiers of clan Campbell massacred 38 members of clan MacDonald while another 40, mostly women and children, died of exposure after their houses were burnt. The event is said to have inspired the Red Wedding incident in George RR Martin’s A Song of Ice and Fire (aka Game of Thrones). With plenty of barmen only too happy to guide us through the dizzying number of bottles lining the walls behind them, our bar experiences came in many shapes and forms—dive, neighbourhood, regal clubs and artsy speakeasies. A night at Kelvingrove Café in Glasgow’s Finnieston area provided the quintessential neighbourhood-bar experience. Offering impeccable service and organic ingredients, the café was a favoured brunch spot by day. But it wasn’t eggs we had on our minds. Once seated snugly in a booth, we opted for a single malt from Arran. Beautiful artwork, shimmering mirrors, intimate chatter and the floral notes of our drink lulled us into feeling a part of the Finnieston community. 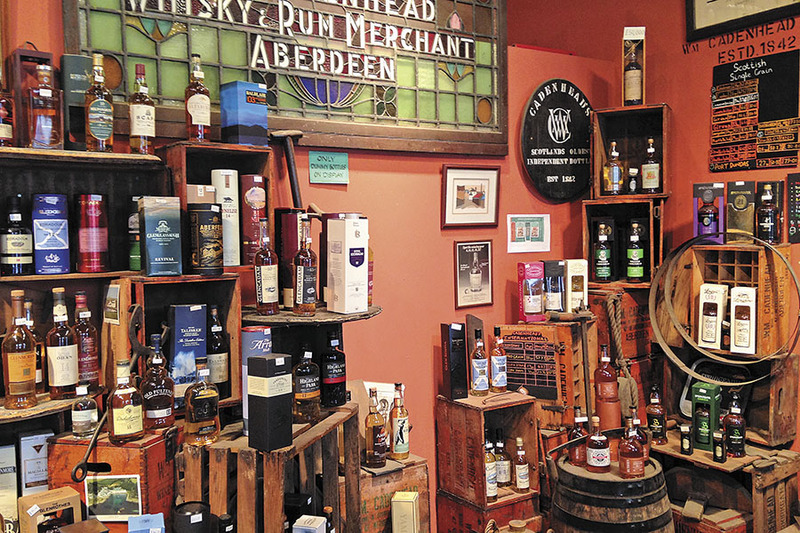 At the Great Scot Bar in Cameron House, we sank deep into the leather armchairs and enjoyed a view of Loch Lomond as we made some tough choices—picking from a list of over 250 whiskies. Sip your drink in these plush surroundings, while several great Scotsmen and women look on approvingly from the walls. Later, on our final evening in Edinburgh, we found ourselves at The Bramble, a specialty cocktail bar. It seemed the whole town had heard of this basement speakeasy, “hidden” under a tailor’s shop. We actually ran into an acquaintance in town for a celebratory dinner with clients. The celebrants’ order had overwhelmed the lone bartender and it took 30 minutes to get our cocktails. But with an energetic crowd packed into this intimate space, it was a pleasant and worthwhile wait for our butter-scotch cocktails, which expertly married Aperol, sherry and (of course!) whisky. Most mornings after, we were forced to imbibe Scotland’s other national drink, Irn-Bru. This fizzy, fluorescent orange soda with a jolt of caffeine is a proven hangover cure. That benefit alone (because we’re not sure it’s the taste) probably explains why it’s the highest selling soft drink in Scotland, outpacing the likes of Coke and Pepsi. In Glasgow, we stayed at the Radisson Blu on Argyle Street, steps from the main train station. Following a rather late night at a lively Mediterranean bar Arta, it was with no little irritation that we woke up (hours before we had planned to) to a blank call. This was followed a short while later by a knock on the door, despite the ‘do-not-disturb’ sign. Opening the door revealed an empty hallway. When the same thing happened the next morning, we were left to wonder if we’d inadvertently upset a malevolent spirit or a housekeeper eager to get on with their duties. Several dark tales shroud Mary King’s Close in Edinburgh’s Old Town. The Close consists of 17th century alleys buried underground and was the scene of horrific suffering during the Black Death. The persistent story of footsteps on empty streets and the ghost of a little girl nicknamed ‘Annie’, who perished in the plague, ensures that a visit to this site is not for the faint-hearted. In Glasgow, we walked up to St Mungo’s Cathedral and the Necropolis (cemetery). Both are situated at the top of a prominent hill to the east of the city and are well worth a visit. The Necropolis, which you enter by crossing the Bridge of Sighs (likely a reference to funeral processions), has stunning monuments and offers panoramic views of the cathedral, city and river Clyde. However, with approximately 50,000 people buried under your feet, we suggest you tread respectfully, lest you wake the dead. There is no dearth of spooky haunts and brooding tales, and against your instincts (and perhaps better judgement), we suggest you brave a visit. Among epicures, Scotland has a somewhat mixed reputation. Part of the reason may be that arguably the country’s most famous dish is haggis—a savoury pudding containing sheep heart, liver and lungs minced with oatmeal, suet and onion that is usually encased in the animal’s stomach. That said, we did have some remarkable food experiences in the country. Even basic meals in Scotland have the potential to be heavenly. When we missed the breakfast deadline at our B&B in Ardchattan, our hostess Sian rustled up some toast, butter and raspberry preserves for us. For such a simple meal, it was phenomenal, as everything had been made on the premises—farm-to-table in every sense. Two fine-dining meals stand out. The first was at The Ubiquitous Chip in Glasgow. We were seated in a patio with lush foliage, vines that crept up to the skylight and a small pool with koi fish. The meal started off with a gazpacho that had a slight kick to it, and hearty slices of bread that partnered wonderfully with the goat-milk butter. The pork belly was tender, served with a corn purée in a sweet soy sauce and green onions. The haddock, its skin crisped to perfection, rested on a bed of what appeared to be puréed spinach except for the surprising burst of apple and citrus flavours. The other gastronomic highlight was our dinner at Restaurant Mark Greenaway in Edinburgh. The minimal modern decor was beautiful, but overshadowed by the inventive menu that featured plenty of local fare. 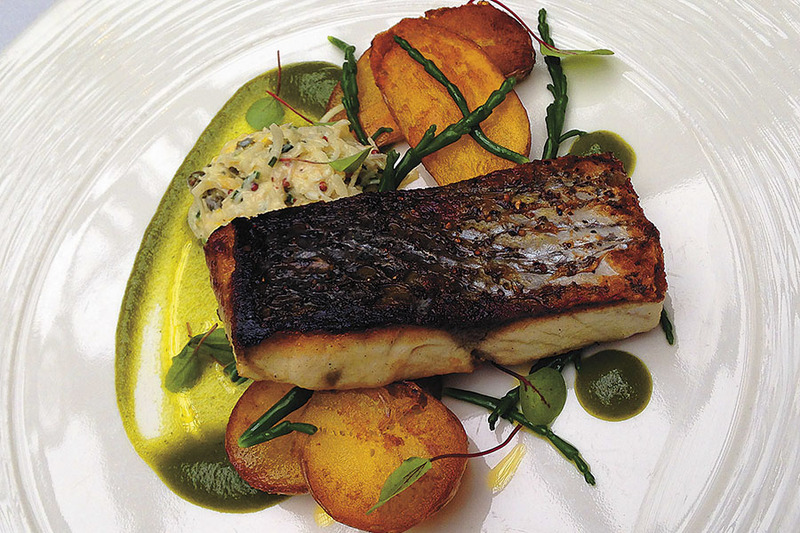 Our choices—the hake with chorizo, and duck with beet purée—were magnificent. The market menu (which includes a wine flight) is a steal and the chef an alchemist serving up meals that are pure gold. The drive to our hotel in Edinburgh should have taken less time than it did. Our hotel’s beautiful, but misleading Victorian church façade and a belief in Google Maps’ infallibility meant we circled The Glasshouse thrice before we found it. We spent our first evening exploring the Grass Market. The 17th century cattle market has long since gone and the grand Victorian buildings now house plenty of boutiques, lively bars and restaurants. Given the traffic, especially in the city centre, we decided to walk most of the city, despite its steep terrain. We started with a hike up to Calton Hill where you’ll find an interesting collection of monuments, including an incomplete replica of the Parthenon in Athens, and excellent views of the city to the south and sea to the north. We made our way down to Holyrood Palace. The Queen was in residence, so no palace tours, thereby denying us the privilege of paying £15 to gawp at her furniture. The palace is at one end of the famous Royal Mile, a charming, tourist-heavy street lined with shops, cafes, bars and restaurants that climbs uphill to Edinburgh Castle. From the castle, we headed to Stockbridge, a residential neighbourhood with an artsy vibe. The Water of Leith, Edinburgh’s main river, snakes under Deanhaugh Street and a farmer’s market, where several unique shops and galleries add to the area’s charm. Of the shops, the standout for us was Liggy’s Cake Company, whose windows beckoned with the most beautifully decorated cakes imaginable. Scotland is exceedingly charming, with stunning vistas around every bend, ruins brimming with tales of battle and betrayal, shimmering lakes, vibrant towns and villages, fine food and drink. With beauty in such abundance, you must forgive the weather. If you do encounter a cold summer day, we suggest taking succor in a pint of ale, deep-fried Mars bars and a dash of Scottish wisdom “whit’s fur ye’ll no go past ye”—what will be, will be.